If you want to learn to play your favorite songs on guitar, but have no clue how to read notes and tabs, you might be continually frustrated with your musical efforts. Thanks to a host of built-in tools and compatibility with many guitar controllers including the Jamstik+ Smart Guitar, you can toss that frustration aside with the FourChords Guitar Karaoke app. Comedian Rob Paravan jokes that every song ever written uses the same chords from Pachelbel’s “Canon in D,” and the developers behind this app seem to have taken that theory to heart, in a way. 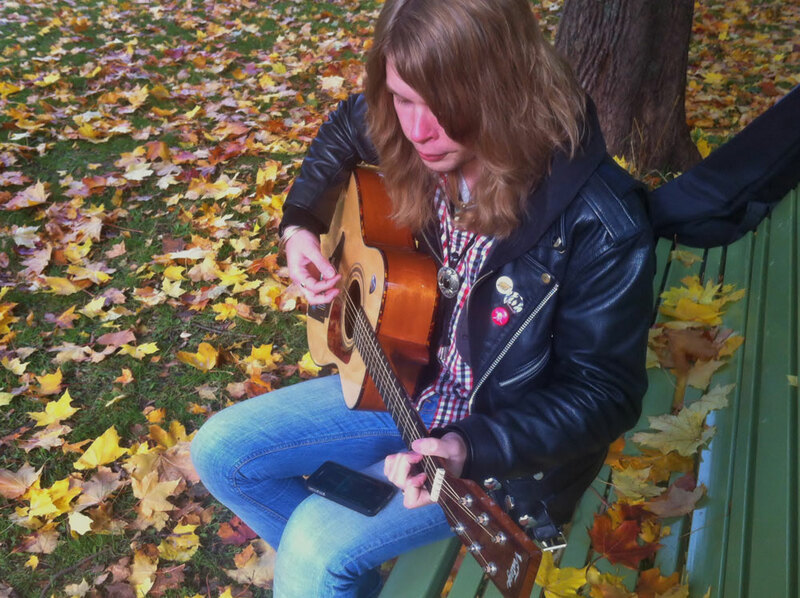 Using simple, easy to follow tips from Justin Guitar, FourChords breaks every song down into just four chords that you play on your instrument or using the TapGuitar feature in the app. I didn’t take the time to count how many songs are in the music library of FourChords, but I was impressed by the breadth of genres covered within the app. 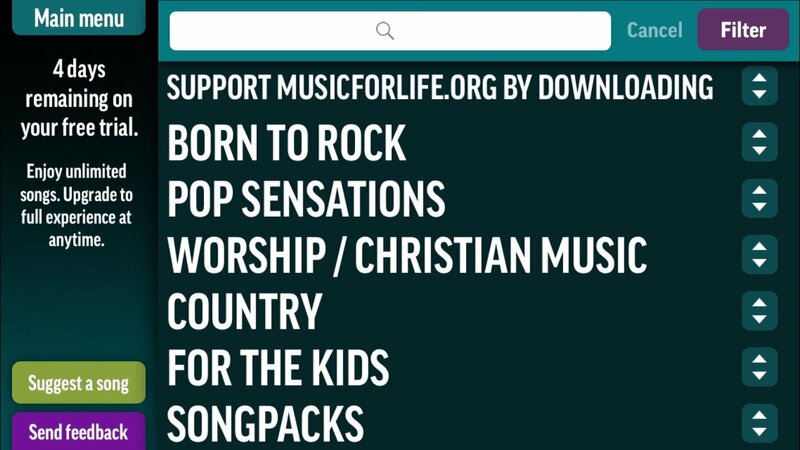 You can choose rock, pop, country, children’s music, and even a wide variety of Christian and worship tracks. There are French songs, Spanish songs, and more. Whether it’s Lenny Kravitz’s “Are You Gonna Go My Way” or Skillet’s “Monster,” you are liable to find it in the app. Even better, the songbook is constantly being added to. Playing songs in FourChords might look similar to something like Guitar Hero Live, but the difference is that this app interfaces with your real guitar to teach you how to play the songs. You can play with regular chords, power chords, and even learn strumming techniques for various chords. The app also includes tutorial videos to help you learn how to finger the necessary chords. FourChords can just teach you the chords themselves, or you can even use it to recognize the charts for the musical elements. 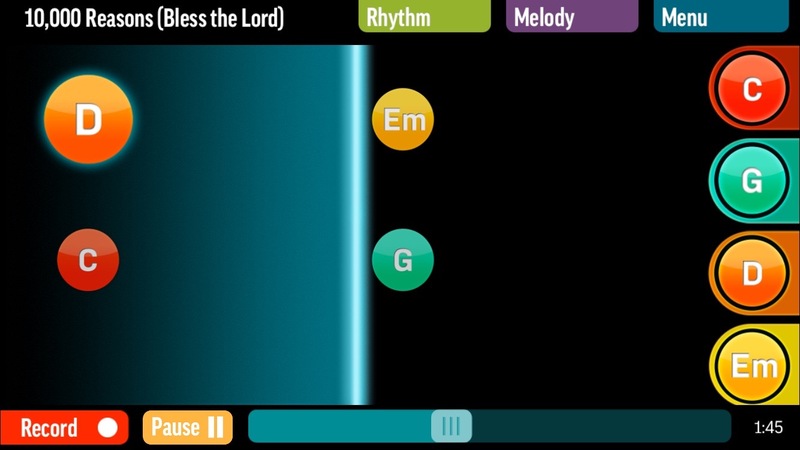 The app makes learning fun and easy, allowing you to adjust the tempo, transpose the music to easier chords, and use the strum-machine to teach you the techniques. 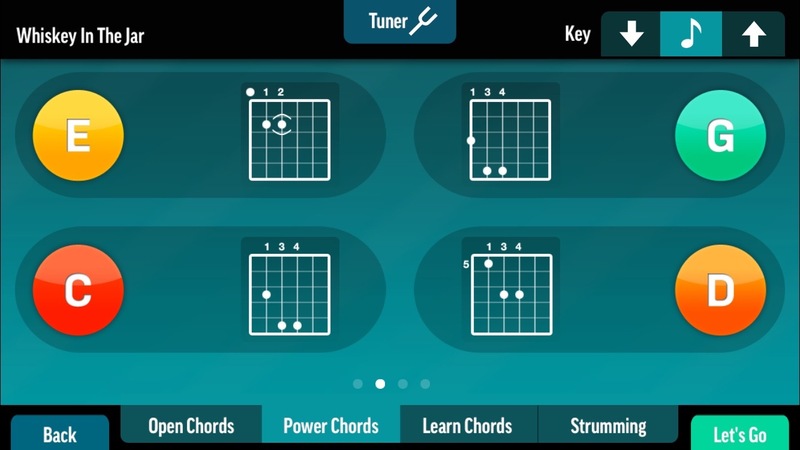 FourChords is designed for iPhone, iPad, and iPod touch, and is available for free on the App Store. You get a four-day trial with full access to the songbook, after which you may have to pay to play. The library includes a host of free songs, mostly traditional, but there’s plenty more to choose from. Through in-app purchases, you can buy starter packs or even subscribe to get unlimited access to the entire library for $4.99 per month or $34.99 annually. See the app in action in the video below, but click here if it doesn’t load.